Nelson Town Council is open and transparent about the way it manages its finances. The Local Audit & Accountability Act 2014 and the Accounts & Audit Regulations 2015 set out the responsibilities of all local councils in respect of their accounting and auditing procedures but the day to day operations carried out with guidance from its own Standing Orders and Financial Regulations which can be found in the Council’s Policies and Procedures page. 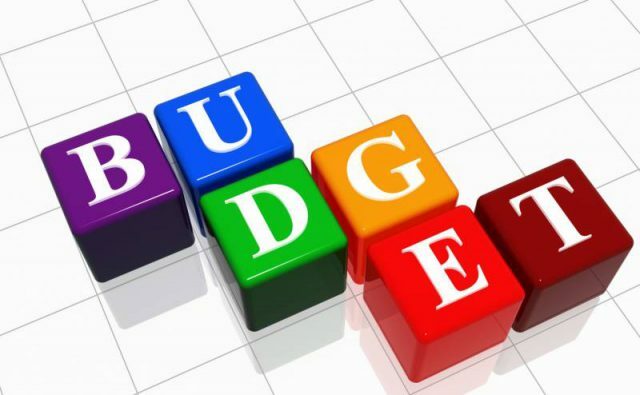 The Council’s finances (income and expenditure) are monitored on a day to day basis by the Responsible Financial Officer during the course of the financial year. The RFO appointed for the Town Council is Safia Kauser who is responsible for maintaining the financial records and preparing the annual accounts in accordance with the statutory provisions and is responsible to the Council. The Precept is the element of your Council Tax that is paid to Nelson Town Council. Every year, the Town Council draws up budgets and calculates how much money it needs for the next Financial Year. These are then submitted to Pendle Borough Council who collect the precept from the residents of Nelson on behalf of the Town Council. This document identifies the key risks facing the Council, identifies the level of risk and evaluates the management and control of the risk. Council’s are required to carry this out at least on an annual basis or as required when the level of risks change. Local councils are required to appoint an independent and competent internal auditor to review regularly systems of financial control and other controls over the activities of the council to ensure that they are adequate, effective, and in line with current regulations. Internal audit is a key component of the system of internal control. The Internal Auditor is independent of the operations (financial control/management) of the Council and competent in the understanding of the law as applicable to Local Councils, of simple accounting and basic PAYE and VAT requirements. Nelson Town Council’s internal auditor carries out two visits per year and produces a report for each internal audit visit carried out. The report produced by the internal auditor may contain recommendations in order to strengthen the internal control environment in which case the Council has a duty to ensure that they address the recommendations. Internal Auditors are required to sign off section four of the Annual Return which forms part of the annual governance statement for the Council’s accounts. Its purpose is to review whether the systems of financial Internal audit does not actively seek evidence of fraud, corruption, error or mistakes, but can assist the council in its responsibility for the prevention and detection of such occurrences. Those who are responsible for the conduct of public business and for spending public money are accountable for ensuring that public business is conducted in accordance with the law and proper standards, and that public money is safeguarded, properly accounted for and used economically, efficiently and effectively. In discharging this accountability, the Council (both members and officers) are responsible for putting in place proper arrangements for the governance of their affairs and the stewardship of the resources at their disposal as required by section 2 of the annual return. The system of internal control is designed to manage risk to a reasonable level rather than to eliminate all risk of failure to achieve policies, aims and objectives; it can therefore only provide reasonable and not absolute assurance of effectiveness. 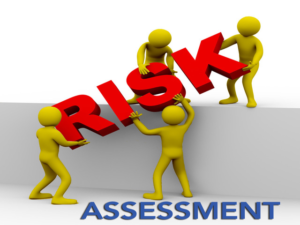 Controls will include the checking of routine financial procedures; the examination of financial comparisons; the recording of assets and liabilities; the identification of risk and to evaluate the likelihood of those risks being realised and the impact should they be realised, and to manage them efficiently, effectively and economically. Nelson Town Council has appointed 3 members from the Finance and General Purposes committee to form an ‘internal controls working group’ that is tasked to ensure that the internal control checks are carried out once every six months. A copy of the internal control checklist that is used by the internal controls working group can be viewed here. The Council produces an annual governance statement and accounting statements which are subject to a review by the external auditor appointed under the provisions of the Local Audit and Accountability Act 2014, the Accounts and Audit Regulations 2015 and National Audit Office’s Code of Audit Practice. The 'Annual Return' includes the findings of the Internal Auditor, together with Governance Statements and Financial Statements. This Annual Return is then submitted to an independent 'external' auditor’ for examination. The Council has a duty to publish the unaudited Annual Governance Statement and Accounting Statements once they have been approved by Council. As part of this process, the Council must make arrangements for a set period in which interested persons can inspect the Council's accounts and related documents. If you are a registered local government elector (i.e. you appear on the electoral register for the area covered by the Council) you can also ask questions about the accounts and object to them. Interested parties have the right to inspect and make copies of the accounting records for the financial year to which the audit relates to including all books, deeds, contracts, bills, vouchers, reciepts and other documents relating to those records. By the 30th September each year the Council must publish a final copy of the audited Annual Return, once this is received back from the External Auditor after they have completed their examination. The Town Council is committed to making our open and transparent, so that everyone can see exactly how we are spending money. As part of that commitment we publish information on all expenditure over £500 excluding VAT. The payment list indicate the individual payments made to suppliers each month with a net value over £500. Please note these are payments made in the period, and do not necessarily relate to invoices dated or received in the period.